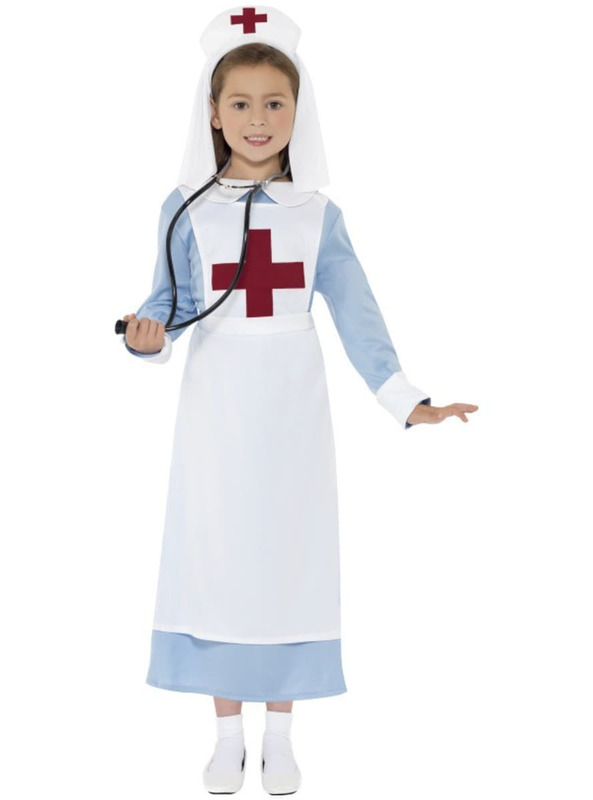 Let your little one feel like they’re helping the sick with this war nurse costume for a girl. This healing nurse costume includes a light-blue dress with a white apron, a red cross in the middle, and a headpiece in white with a cross in the centre. Upload your photos to Instagram with the hashtag #funidelia followed by #funidelia12647. Product Rating: "War nurse costume for a girl"